No Limits Skydiving is the only Drop Zone in Virginia where you can actually jump over the water. If you are going to make one skydive in your life, you should choose the location with the best views. Our West Point location in Virginia has you jumping right beside the York, Mattaponi, and Pamunkey River. You can even see the Chesapeake Bay in free fall. In the warmer months, the river is full of boats and they actually line up to watch us skydiving. I have always wondered what they are thinking as they watch people skydiving all day – ha ha. The sunset dives here are simply amazing. The sun beaming off the water lights it up. Even after all the jumps I have done, it still is magical. 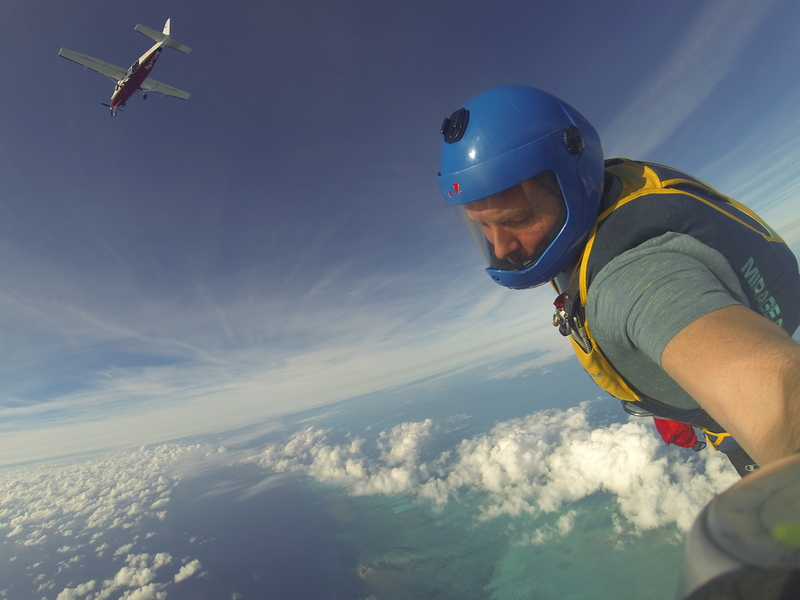 Most people are looking to make one skydive in their life – one Bucket List item checked off. 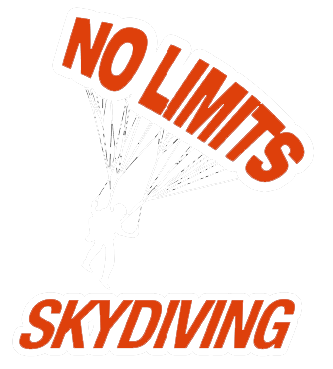 If you live in VA Beach, Richmond, Northern VA, or really anywhere in Virginia, then you should choose No Limits Skydiving. You can find information about both of our locations here. Skydiving for 2019 starts in the next week. Grab some friends and come join us for the adventure of a lifetime. We are the closest skydiving school to Virginia Beach. Right down 64 to our location in West Point, VA. Virginia Beach is Virginia’s biggest tourist destination during the Summer. There is nothing better then a day on the water at VA Beach. The boardwalk at the beach also has many great activity’s such as great food and stores. Everyone loves a day at the beach! After you have relaxed for a few days and craving a little adventure, give us a call. 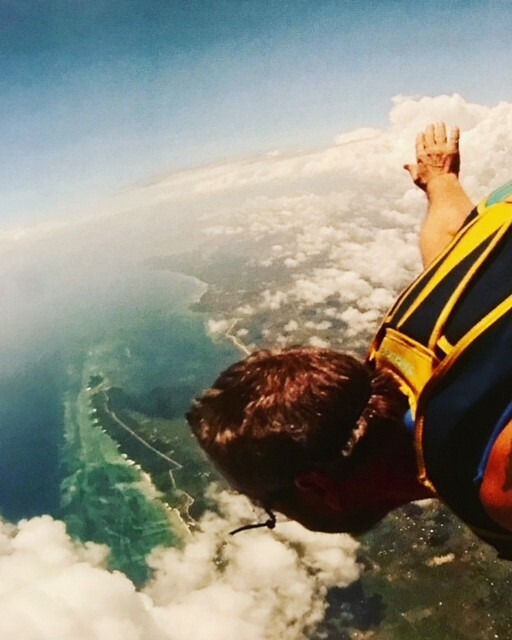 Skydiving is a perfect way to make your vacation something special. We are open everyday, so we make it easy for you to schedule a Tandem Skydive on the day that works for you. We are open from 9 AM until dark seven days a week. On weekdays, your jump should take about three hours. So you can make your skydive and be back at the beach by afternoon. Or enjoy the beach for the first part of the day and join us in the sky for an afternoon skydive. 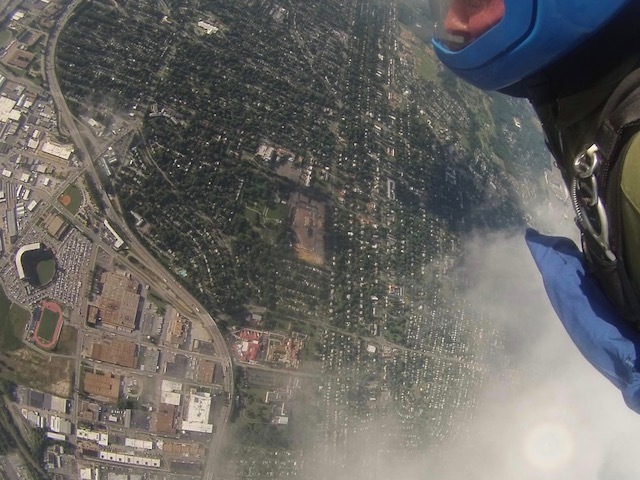 The owner of No Limits Skydiving is former Navy Veteran that was stationed close to Virginia Beach at Norfolk, VA. It was when he was stationed there that he located West Point as the perfect place to jump from a perfectly good airplane in Virginia. Warm weather is here and we are open everyday for skydiving. Call us soon to join us for your “Skydiving in Virginia Beach“!